Known as a “Top Cash Crop Strain”, Sour Diesel is an extra-dank breed of weed. For those seeking a psychedelic, energetic high, it doesn’t get better than this. It is famous for it’s pungent presence, reeking strongly of fuel. It has earned itself loyal fans from all over the world – for its ability to produce a “no-couch-lock” high that will guarantee good vibrations and a great time all-around. Sour Diesel, also commonly nicknamed “Sour D”, is a notoriously fast-acting sativa-dominant strain. It is said to be a descendant of Chemdawg 91, mixed with Super Skunk, and was created in the 90’s in sunny California. Even with all the information available about its background and roots, the origins of Sour D remain shrouded in mystery, which adds a mystical appeal to it. Touted as one of the finest genetics available in the current market, Sour D is the perfect all-day long pal. A popular choice for recreational users who are looking for something to give them a boost in mood and energy, Sour Diesel is known for creating a sense of unabashed euphoria. It is the perfect “upper”, a no-fail mood-booster with a general uplifting quality. Sour D’s are also said to be a purely cerebral experience, with the sativa being prominent and the indica barely noticeable. Tickling one’s psychedelic senses, Sour Diesel is known for having a long-lasting high, lasting for sometimes up to five hours. Sour Diesel got its name from its famously pungent, almost borderline “stinky” fuel smell. It is also said to have hints of citrus and sour lemon, with a mix or herbal notes. Despite the strong words used to describe what Sour Diesel smells like, in real life this actually has a very pleasant presence, loved by many for exactly that reason. A slightly bitter citrus taste can be observed in Sour Diesel, which makes it a savory experience for many. Its pungent notes are prominent even in the flavors, delivering an invigorating note when smoked. Its tropical fruitiness makes it a suitable choice for those who simply want to enjoy a smooth, and flavorful high that is complimented by its after-taste. Among some of the most prevalent adverse effects of Sour Diesel, is the dry-mouth it gives you. The consumption of liquids is highly recommended to avert from the sense of dehydration, which can also cause the sensation of dry eyes. Paranoia in some, is also a negative effect it may have on some, usually fueled by consuming more than needed. 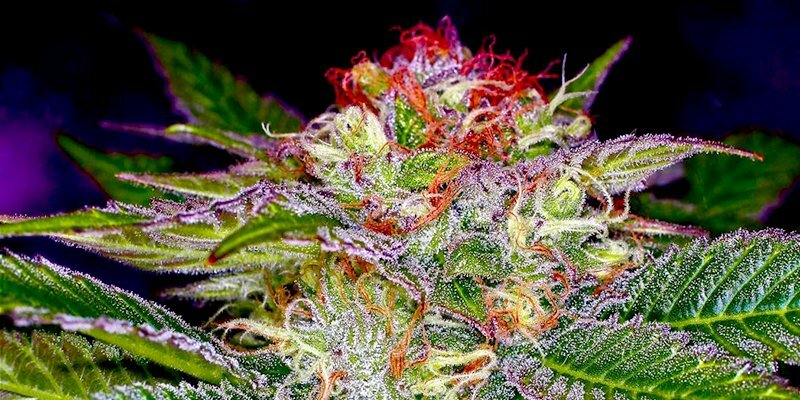 This can also lead to dizzy spells and anxiety, and especially for those who are not accustomed to the sativa varieties, the upbeat high may be confusing and difficult to understand. Often that can be mistaken for nervousness itself. Due to its longevity in effects, Sour Diesel has become a popular choice for those in need of a successful way to treat pain. Because it creates a high without the heaviness, Sour D makes for great daytime relief, often lasting for hours, for maximum effectivity. Sour Diesel is most predominantly used for the treatment of stress and depression. Its light-head high creates a very impactful feeling of elation. For those suffering from heavy-body lethargy due to their depressive lows, Sour D makes for the perfect companion. Those suffering from arthritic conditions may also benefit from the use of Sour Diesel, due to its anti-inflammatory effects on the body. The de-stressing properties also reduce an overall feeling of stress over the condition, which adds to the progress of healing. Patients with ADD and ADHD issues love Sour D for it’s ability to help them focus on the task at hand, without the heavy-bodied sensations. Cancer patients may also enjoy this strain for it can help boost appetite that may have been lost due to the chemical radiation treatments and medications. A strain that grows tall and fragrant in a hot and somewhat dry, arid climate, with low humidity. High intensity light is highly recommended. It is, however, essential to keep the growing environment sterile due to the fact that the plant can be prone to powdery mildew. This can be hard to remove, so it is best to be proactive in keeping its surroundings clean. Sour Diesel takes a little longer to flower than other strains but it is well worth the wait. An indoor-grown plant can yield up to an estimated 18 ounces per m2 on average per harvest. For a Sour D plant grown outdoors, the ideal time for a harvest is around early November. An outdoor grown plant can be very generous in its yield, with an expected average of 25 ounces plant available for plucking during harvest. Have you ever smoked or grown your own Sour Diesel? Please let me know what you think about this marijuana strain in the comments below.